At the Liberal Democrat Spring Conference being held on the weekend of 10-11 March 2012 Cambridge MP Julian Huppert is moving a motion titled “Civil Liberties” scheduled for debate at 10:45 am on the Sunday morning. The text of the motion is available, but only deep within the Conference Agenda (on page 50 of the PDF). I think it’s fantastic and deserves to be made more easily accessible. This Government needs to undo the damage done to civil liberties, including Labour’s sustained assault on basic freedoms. It is the duty of Liberal Democrats to safeguard basic freedoms against the encroachment of state power and unfair discrimination in society. Liberal Democrats have an excellent tradition of promoting human rights, and should continue to support both the Human Rights Act and our 2009 conference motion Standing Up for Civil Liberties. A. Scrapping of ID cards. B. Removal of innocent people from the national DNA database. C. Controls on the misuse of CCTV and local authority surveillance. D. Ending the taking of biometric material from children without their parents’ consent. E. Abolition of the ContactPoint database. F. Ending of 28 day detention without charge. G. Abolition of Control Orders and the end of internal exile. H. Rolling back of government powers of entry into your home. I. Commitment to review the powers of bailiffs. J. Dramatically increasing openness of government data. K. The repeal of provisions which banned protest near Parliament. L. Reform of the Rehabilitation of Offenders Act 1974. M. Ending Labour’s policy of routinely detaining children for immigration purposes. a) Police can still prosecute those who use words and behaviour which are merely insulting, not abusive or threatening. b) The cost of defamation proceedings limits freedom of expression and the protection of reputation to the rich and powerful. Vigilance is needed as the right to peaceful protest is constantly under threat – for example international attempts to control recent protests, such as the ‘Occupy’ movement, have led to disproportionate policing and an undermining of the right to peaceful protest. a) Police powers, such as stop and search, have been used in a discriminatory way, which has caused a breakdown in relationships with the police and has been identified as one of the factors in the summer riots. b) People must have equal access to justice for society to be free and fair. a) Public organisations, and private companies contracted to deliver public services, continue to withhold information. b) Police and other agencies tend to hoard private data, with risks to individual liberty as technology allows more efficient cross-referencing. c) Government has a poor record of protecting private data from wider dissemination. a) The repeal of section 5 of the Public Order Act, which creates ‘non-intentional’ speech offences, and the removal of ‘insulting’ from Section 4A of the Public Order Act, both of which have been used to criminalise legitimate freedom of expression. b) Amendment of Section 127 of the Communications Act 2003 to include context and intentionality to prevent the criminalisation of jokes. c) Review of the Malicious Communications Act 1988 to ensure that it covers intentional conduct only. d) The introduction of a libel reform bill in the next Queen’s speech to provide better protection for every citizen for free speech and protection of reputation. e) The creation or development of effective public interest defences in relevant criminal and civil offences to protect and foster investigative journalism. a) The repeal of the offence of ‘Aggravated Trespass’, as set out in Sections 68 and 69 of the Criminal Justice and Public Order Act 1994 and used in the Fortnum and Mason trial. b) A properly regulated right to protest in quasi-public spaces to balance the interests of citizens and landowners. c) An end to threats being made against protestors who have done nothing wrong, such as the threatened use of rubber bullets before demonstrations. d) The end of kettling large groups of people. e) Resisting new powers to impose curfews on unconvicted people. f) Not extending the existing powers on people covering their faces. a) Greater control of the use of stop and search powers; in particular provisions in the Terrorism Act 2000 and the Criminal Justice and Public Order Act 1994, which have been used indiscriminately and beyond their stated intent. b) A review to reduce the use of civil orders, such as ASBOs, for criminal activity. c) Stronger controls over the use of mobile fingerprint devices and non-lethal devices such as tasers, sound cannons and laser lights. d) A guarantee that where citizens are not required to provide their name and address this will be made clear to individuals by the police. e) Guidelines to regulate the collection, storage and use of videos and photos of innocent people taken by the police, particularly Forward Intelligence Teams. f) A ban on high frequency Mosquito devices which discriminate against young people. g) Tighter controls to ensure the ban on police covering their badges. h) The introduction of safeguards to prevent pre-emptive arrests and pre-charge bail conditions being used to restrict civil liberties and stifle peaceful protest. i) Full review of the powers of bailiffs and the repeal of the power for the Secretary of State to further enable bailiffs to use force against people. j) An end to the ban on photography of police and preventing police from forcibly deleting photos with no grounds. k) Oversight of undercover police tactics to protect citizens from unfair and unwarranted surveillance. a) A review to reduce exemptions to the Freedom of Information Act. b) A review of the Regulation of Investigatory Powers Act 2000.
c) Increased powers for the Information Commissioner and tougher sentences for breaches of the Data Protection Act. d) An end to the Ministerial veto over information tribunal decisions. e) The creation of one overall Privacy Commissioner with specialists leading on each separate area. A second Protection of Freedoms Bill to enact any necessary legislative changes. I agree with everything in this motion. I’m not a Liberal Democrat, I’m not a member of any political party, but I fully support this motion and a lot of what Liberal Democrats do in the field of Civil Liberties. I have lobbied myself in many of the areas mentioned, including on the police misrepresenting their powers, RIPA, CCTV, TASERs, extending FOI and the police stopping people taking photos. I have also described the Contact Point database as big-brotheresque. I could go on, so much of what I’ve campaigned on is touched on, including the use of non-criminal penalties the use of stop and search and the retention of DNA by the police. One thing which will be interesting to see, if the motion is passed, is if it will not only be used as a mandate for MPs including Julian Huppert to continue to pursue their pro-civil liberties agenda in Parliament, but if local Liberal Democrat councillors also pursue the policies agreed both via their councils and on other bodies such as Police Authorities. Im all for civil liberties but I’m dissappointed there’s no mention of drug users freedoms (or lack of) that cause no harm to others, and the way the media and society discriminates on those that choose a less harmful substance than alcohol and tobacco I.e. cannabis. The official conference twitter feed has reported the motion was carried with two amendments made. 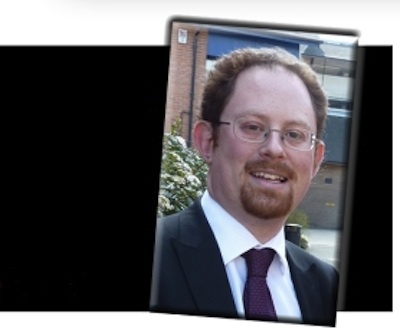 Cambridge MP Julian Huppert had tweeted saying there were two amendments, one on comms data and the other on legal aid. c)	The equality impact of surveillance is too little researched, too little known and of crucial importance to the cohesion of our society. a) Ensuring that there shall be no interception of telephone calls, SMS messages, social media, internet or any other communications without named, specific and time-limited warrants. b) Guaranteeing that any communications data kept by service providers in accordance with the EU Data Retention Directive are kept securely by the service providers, and that they be only released to government bodies with strict and strengthened safeguards. c) Ensuring that service providers are not mandated by law to collect communications data by any method that would also provide access to content information, unless specifically authorised by a warrant. d) Ensuring that service providers are not mandated by law to collect third-party communications data for non-business purposes by any method. e) Renegotiating the EU Data Retention Directive and changing how it is implemented into UK law, to provide a better balance towards privacy. I’m not sure needing a name for an interception warrant is a good idea; clearly the target individual (or group) needs to be identified, but what if we don’t know their names? The repeal of the offence of ‘Aggravated Trespass’, as set out in Sections 68 and 69 of the Criminal Justice and Public Order Act 1994 and used in the Fortnum and Mason trial. b)	A properly regulated right to protest in quasi-public spaces to balance the interests of citizens and landowners. a) A properly funded system whereby access to legal advice and representation before the courts is not denied to those otherwise unable to bear the costs. b) The continued provision of legal aid, for those who cannot afford to pay for legal services, in serious cases where a failure to provide legal services may lead to injustice. c) The continued provision of free legal advice and assistance to all held in custody regardless of means and merits. d) The continued provision of legal aid to those who qualify in appeals cases where there are grounds of appeal, and ensuring that the scope of civil legal aid covers appropriate legal help and assistance in categories of law where the issues raised are of substantial importance to the assisted person and which cannot be settled by alternative dispute resolution (ADR). e) Adequately supporting ADR and other means of resolving civil legal problems through the training and provision of mediation and conciliation services, and through direct support of Citizens Advice Bureaux and Law Centres. f) The implementation of the party’s policy on Access to Justice debated at Conference in 2011. There may be times when a name isn’t known; eg a pay as you go phone; a phone being passed round between people. I think a warrant for a specific phone number or email address ought be obtainable even if specific individual cannot be named as the subject. The point about directed surveillance is that it is directed against an individual or individuals. Wholesale, non-directed, doesn’t need a warrant and can’t, which is how the national ANPR works. I’m not sure why Rupert Moss-Eccardt’s comment is on this article and not on one of the others where I have commented on RIPA and ANPR. I recently asked the Police Authority about the policy in Cambridgeshire and their response, while unclear, indicates that a RIPA authorisation may be required when a specific individual/vehicle is targeted using the ANPR network(s). Details of how some forces use ANPR were revealed in an IPCC report into the use of ANPR in Durham, Cleveland and North Yorkshire from 23-26 October 2009, that reported inconsistency in ANPR policies and the use of ANPR consoles in control rooms of the forces investigated. It is clear the thrust of the recommendations of that report is that the most significant ANPR hits ought result in alerts to the force control room. I asked about Cambridgeshire’s procedures at the Police and Crime Scrutiny committee in December 2011 but the answer was unclear; I was told in typical evasive police style that “ANPR alerts were being monitored as appropriate”. Personally I am not happy about the emergence of the national ANPR camera network, and believe that details of my travel ought only be available to the state following a system of authorisation akin to the issuing of a search warrant, or at least “RIPA Authorisation”. I oppose a national road pricing scheme, we already heavily tax motorists and the national tracking system be it satellite or ANPR based would be enormously intrusive. I remain of the view that obtaining details of where I have travelled is intrusive to a similar degree as a search of my home or my files. I think therefore a similar safeguard ought apply to accessing that information – a warrant from a magistrate’s court. In relation to setting up a specific alert on my car I think the procedure which ought be followed depends on the circumstances. If my car is uninsured, or doesn’t have an MOT, or has been reported stolen clearly it ought automatically be flagged on the databases ANPR systems are checked against. But if the police were to set up their system to alert them whenever my car passed an ANPR cameras that would be directed surveillance targeted at me and therefore I believe ought required a RIPA authorisation. An analogous situation occurs with the public CCTV systems in Cambridge (and elsewhere). While the system is public it is possible to use it for covert directed surveillance targeting an individual (The council’s policy recognises this). If the city council (who run the system) were to specifically ask their operators to follow, and report on, me using the system they would need to go through the RIPA authorisation process. Julian Huppert gave a talk titled “Julian Huppert vs the Big Brother State” in Cambridge on Friday the 16th of November 2012. He directed attendees to this article to read the motion, which is now LibDem policy, and said he liked the title. At the talk Huppert asked the audience what other related areas they thought he should be working on – ANPR and the potential for future drone use by the UK police were raised. At present Government estimates that there is a 35% gap in communications data availability which, if the proposals are introduced, could be reduced to 25%. During the 10 July 2012 meeting of the Communications Data Bill Committee Huppert asked a question quoting the 25% “gap” and during the session Home Office official Charles Farr said 75% coverage is “where we are now”. Huppert said he was “pro saving lives”; and there is a balance to be struck between saving lives etc. and the degree to which the state records information on people’s communications.